While this is my last entry for 2010, I will hold off on the musings and reflections until the first week of 2011. In the mean time, it's fruitcake weather, no matter where you are. Fruitcake is one of those recipes that gets a bad rap. Yes, it's heavy. 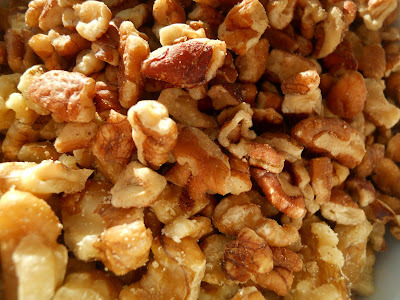 Yes, it is chock-full of nuts and fruit. Yes, it has a shelf life longer than some small electronics. 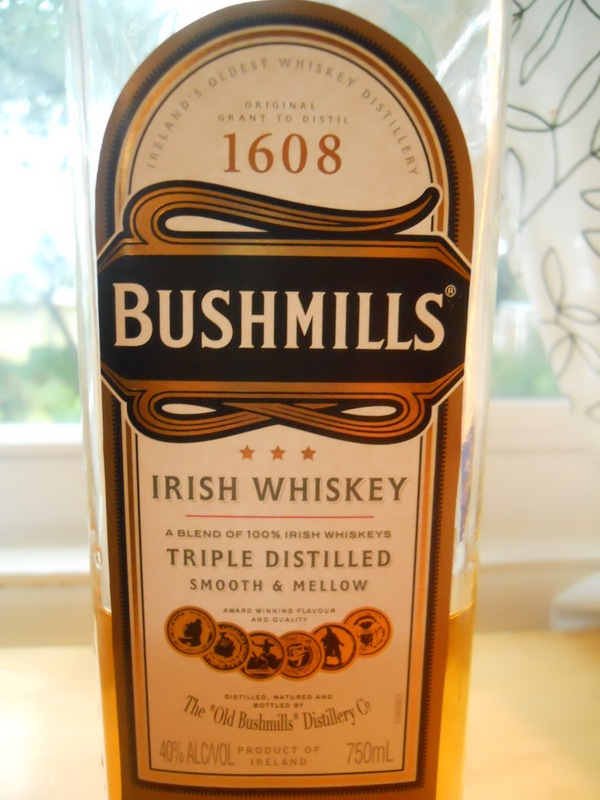 But people, it's made with whiskey. It is traditional to serve this loaf around the holidays, and I thought it a perfect way to end the year. Known for its longevity, fruitcake holds its own. In fact, fruitcake was tucked into pharaohs' tombs--no everyday fare, this was food that could make the transition to the afterlife. Further, fruitcake may well have been the go-to road food for Roman soldiers and eventually Crusaders because the cake held up during long treks. Those secretly sinful Victorians discovered that soaking fruit in alcohol was a way to preserve perishable fruit either on the road or, more likely and rather decadently, at home. 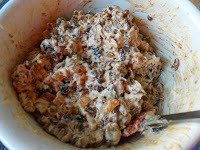 Thus, fruitcake has that distinct taste of dried fruit sugar and whiskey, brandy or rum, and it generally has only enough cake batter to hold the fruit and nuts together (why sully the fruit with flour?). Then it is baked slowly at a low temperature, and after cooking, usually covered in a cheesecloth moistened with liquor or brandy and tightly wrapped in foil. Stored in this manner, your fruitcake has tremendous staying power and, providing it is occasionally remoistened, can be kept for years. This, of course, assumes you don't eat all of it during the months of December and January. Which I plan to do. 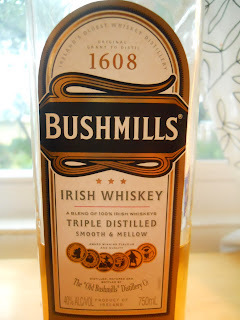 Only about a quarter of the fruit in the whiskey. No worries, I added the other three quarters. Draining the fruit three days later. Further, I plan to serve a bit of it on our annual New Year's Day Feast, which is another little tradition around here. We serve cioppino and good wine, and we sit around with the husband's family toasting in the New Year. 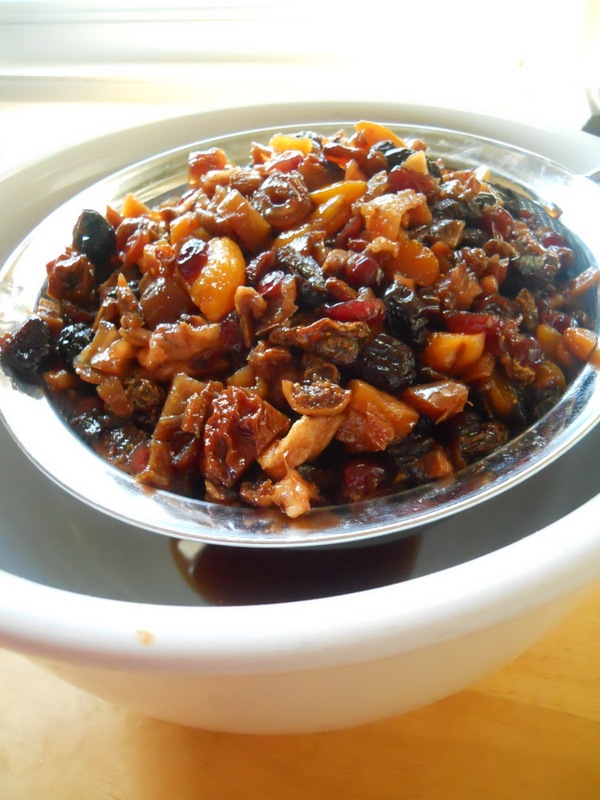 This year, there will be no better capper than slice of fruitcake. 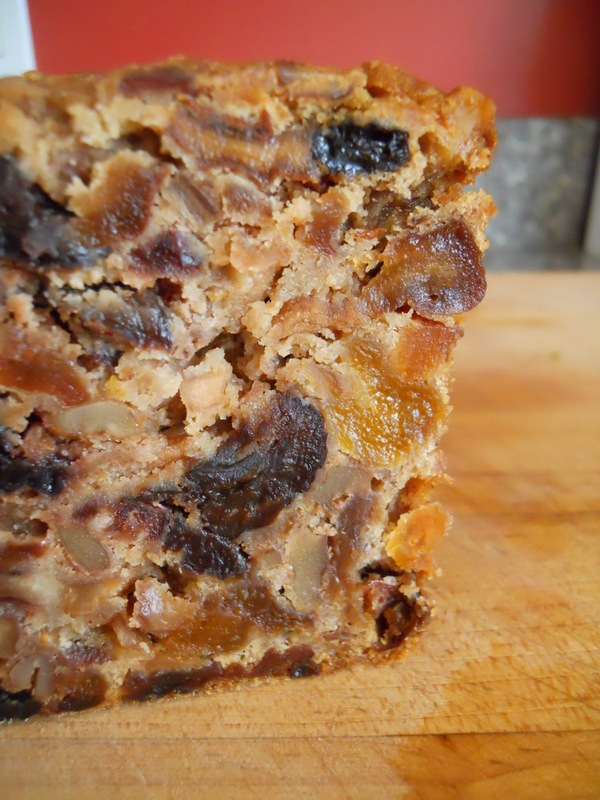 In fact, one story on the history of fruitcake suggests that the fruitcake is often a harbinger of good fortune. In the 1700s, Europeans would harvest nuts, make a fruitcake (or two) and then save them for the following year. 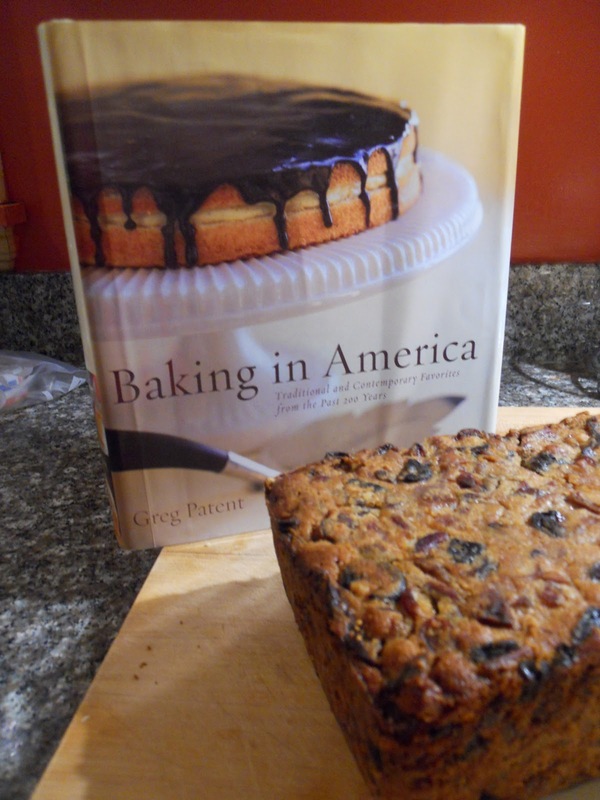 The previous year's fruitcake was consumed, marking one successful harvest with another. I like this idea of handing one year--and fruitcake--off to the other. Let's hope that 2011 can be as auspicious as 2010. 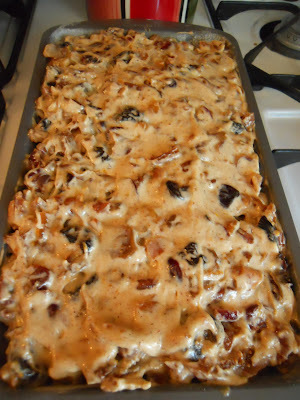 Anyhow, when embracing "fruitcake weather" and making your own New Year's dessert, feel free to use any dried fruits on hand, but never, at least according to this cookbook, add candied fruits. 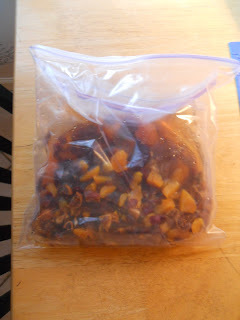 The process of boiling the fruits in syrup and then drying them added to then rolling them in more sugar only leads to more syrupy heaviness, and let's face it, fruitcake is heavy enough. Go with unsweetened dried fruits. You'll never miss the syrup. 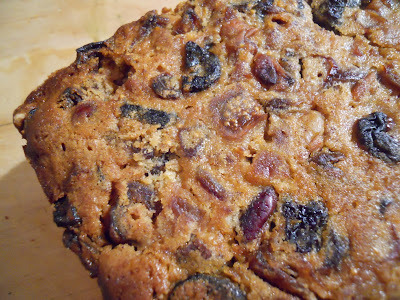 Should fruitcake be on your list of menu items, you do need to plan in advance. 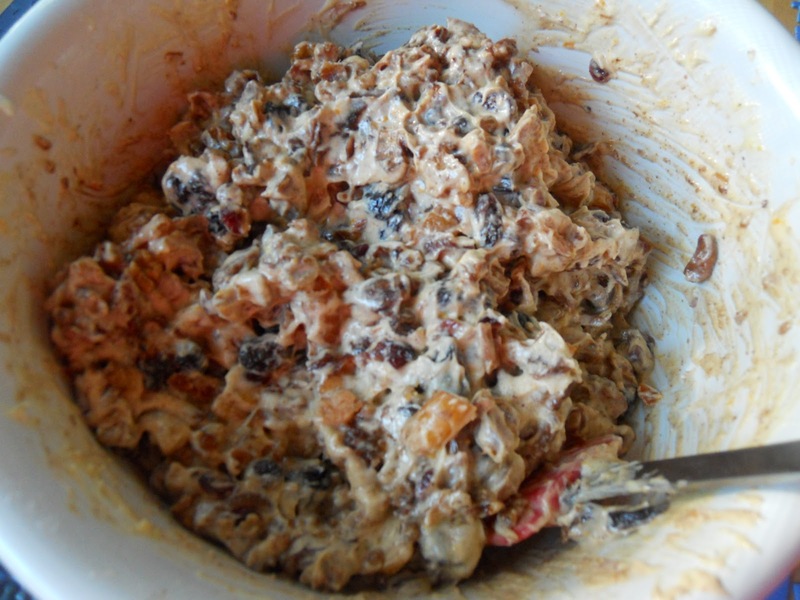 Now some enthusiasts won't touch fruitcake unless it has been aged for a year (or two or three). As I mentioned, should you wish to age yours that long, you should tightly wrap the loaf in alcohol-soaked cheesecloth and then aluminum foil. Every few months, you should unwrap this little goody, drizzle (read: soak) it in whiskey, and then rewrap tightly. I have had this one in the fridge for a week, and people, I am physically incapable of having fruitcake taunting me in my house for a whole year. (Perhaps, I should have made two.) Even if you don't plan to stash your liquor-laden loaf for a year or two, you still must plan accordingly. The fruit must be soaked in whiskey for at least 24 hours but up to three days is recommended, and the cake should age in the refrigerator for at least a couple of days before eating. A week is recommended, but a month is even better. Finally, Happy New Year. And next we meet again, there will be some redecorating and renaming happening. However, in the meantime, I raise my glass of champagne and my slice of fruitcake in your direction. May the passing on of this cake recipe usher in a good year filled with the glories of fruitcake weather for you. Cheers! 1. For the fruit, combine the fruits and whiskey in a 2-quart jar with a screw top or a 1-gallon zip-top bag. Let stand at room temperature for at east 24 hours, preferably 2 to 3 days, turning the jar or bag several times a day. 2. For the nuts, melt the butter in a heavy 10-inch skillet over medium heat. Add the sugar, pumpkin pie spice, and salt. Cook, stirring, for 1 to 2 minutes until aromatic. 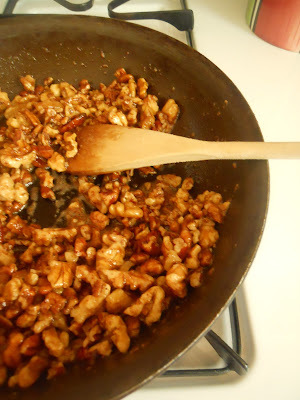 Add the nuts and continue to cook, stirring, for another 3 to 5 minutes, until they are coated; watch closely so they don't burn. Remove from the heat and set aside, stirring occasionally, until completely cool. The nuts can be stored airtight at room temperature for up to a week. 4. Adjust an oven rack to the lower third position and preheat the oven to 300 degrees. 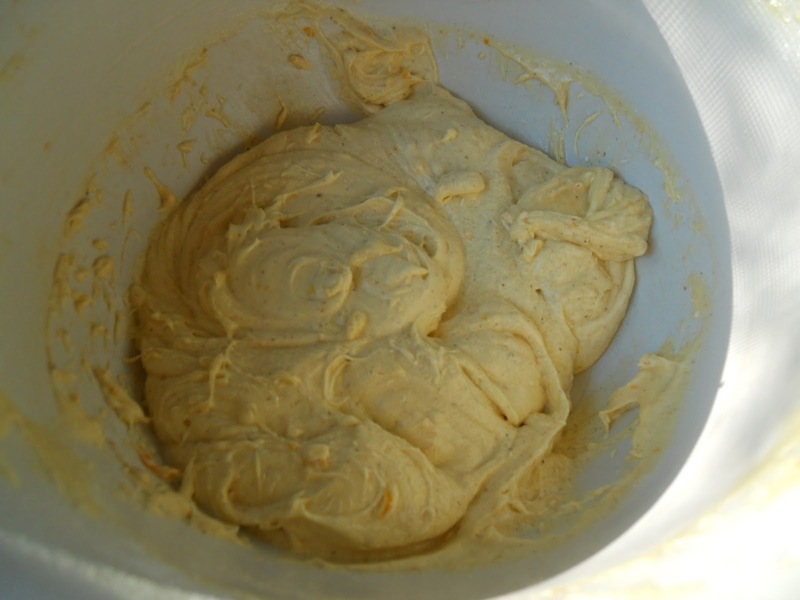 Butter a nonstick loaf pan or coat with cooking spray. 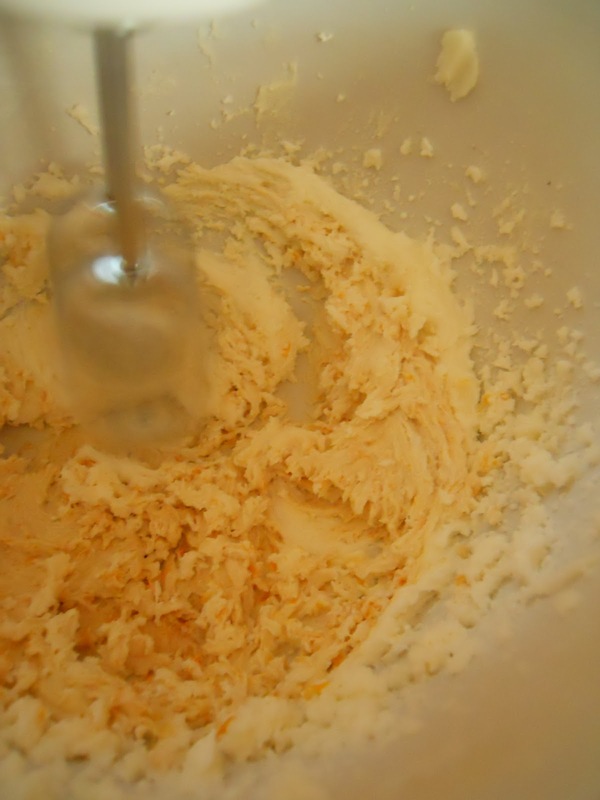 Dust the inside of the pan all over with flour, knock out the excess, and set aside. 5. 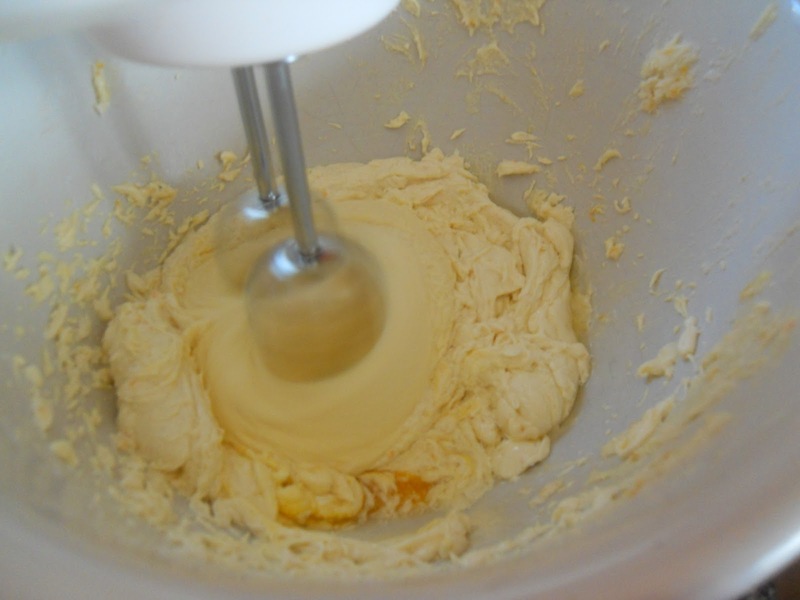 For the batter, in a large bowl, beat the butter and salt with an electric mixer on medium speed until smooth, about 1 minute. Gradually beat in the sugar a few tablespoons at a time, then beat for 2 to 3 minutes. Add the vanilla and orange zest and beat for 1 minute. Beat in the eggs one at a time, beating for 1 minute after each. Scrape the bowl and the beaters as necessary. 7. Bake for 2 to 2 1/4 hours until the cake is golden brown and springs back when gently pressed and a toothpick inserted into the center comes out clean. 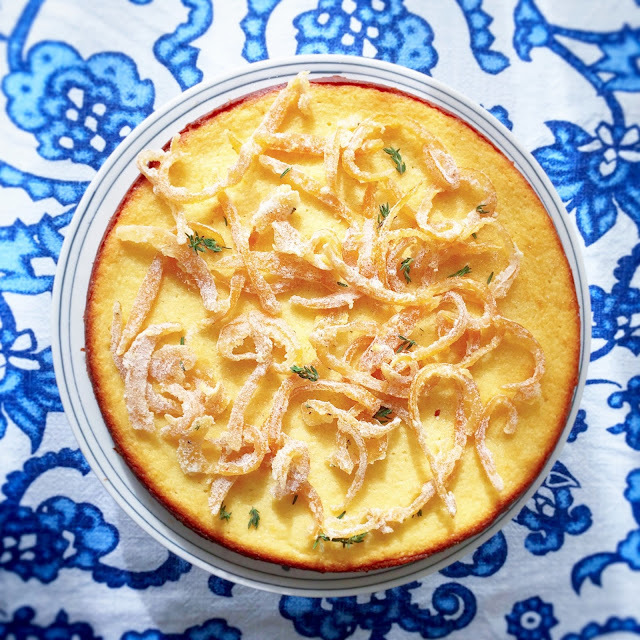 Lay a piece of foil loosely on top of the cake during the last 30 minutes to prevent it from over browning. Cool in the pan on a wire rack for 3 minutes. Run a thin-bladed sharp knife all around the cake to release it, and cover the cake with a wire rack. Invert the cake, carefully lift off the pan, and cool the cake completely upside down.